Beneath The Mire: More Blood. And A Battle. More Blood. And A Battle. 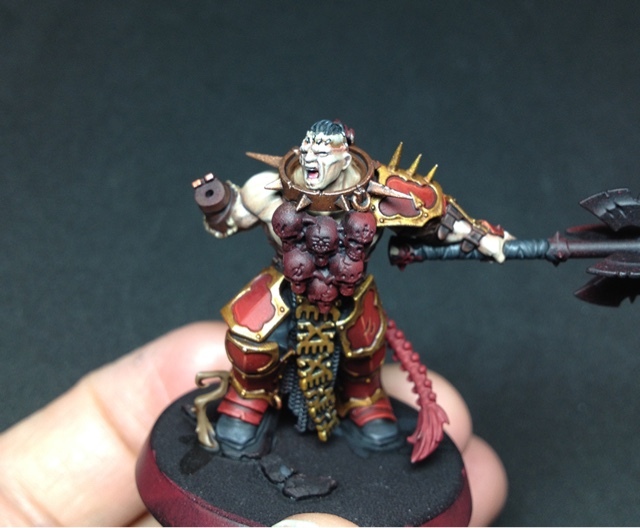 Working on the Bloodsecrator. Not much to see but I'm happy so far. They are such great models that it doesn't take much for them to look fantastic. The biggest problem I've had with this one is the skin. I've gone for a pale translucent look with a glaze of 2:3 Rhinoxhide:blue and then some ogryn flesh to give it a living blush and some depth. 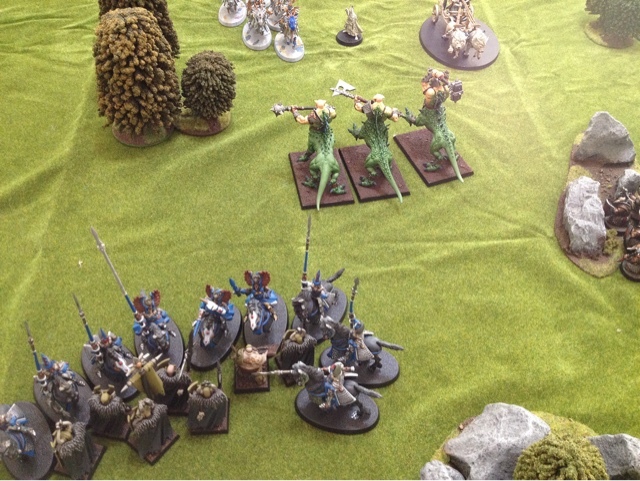 I also got in another game of AoS. 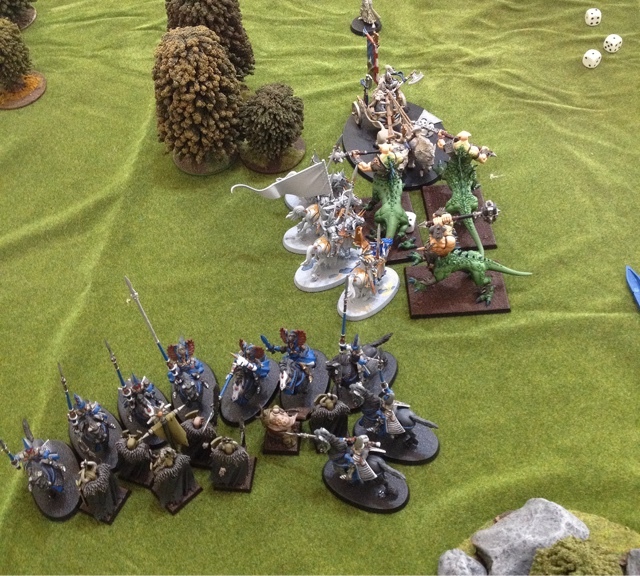 My warriors of chaos against an all mounted Aelf force. We played a scenario from the first big book with a kill 'em all victory condition and in the end, after five or six turns, we called it a draw. Though in my mind the Aelfs had the moral high ground. -- Kill 'em all victory conditions can lead to dull games. 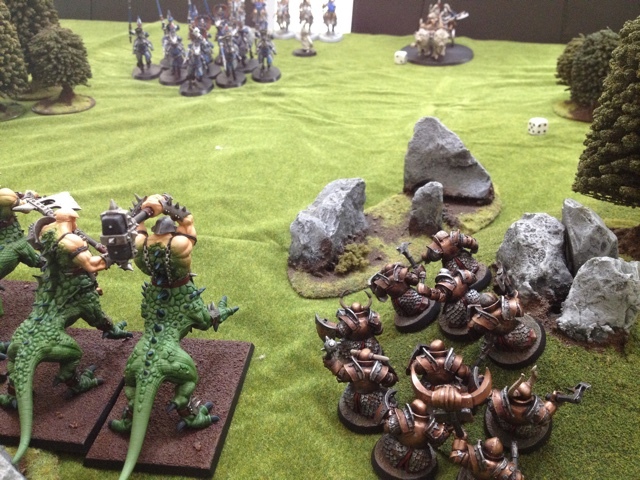 -- Dragon ogres are a tar pit unit. They can soak up damage but don't put out that much in return. In the future I'll be trying to support them with something super killy; not sure what it will be yet! -- Synergies are king. In this game I just took what was new. Next time I'll put more thought into how the units will work together. 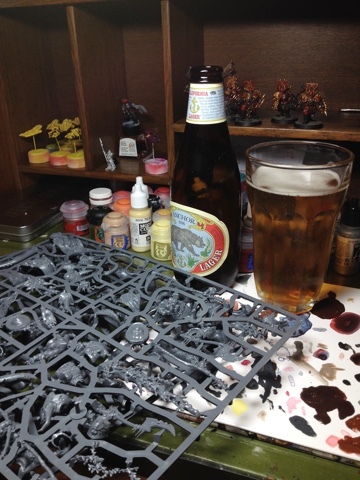 I also aquired this wonderful new thing-- the clean new sprues, not the beer, I understand that's been around for a while. Two internet gold stars to anybody that can identify it. Hint: maggots!